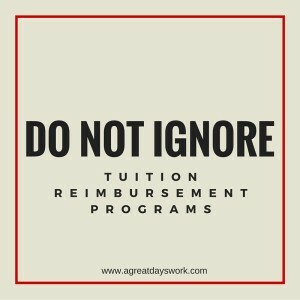 Does your employer offer a tuition reimbursement program? If not, do you know what your employer is willing to pay for to help you gain knowledge and new skills that would help you to add additional value to the company? If you don’t know the answer to these questions, find out immediately. Do not, I repeat, do not leave this benefit of training dollars sitting on the table. Investing in yourself is critical to your career and your future success. If you are not regularly engaged in professional development, you could be making a huge mistake. I will never forget the day in 2003 when I decided to take advantage of the tuition reimbursement program available through one of my employers, Heald College, to continue my college education. I applied and was later accepted into a graduate program through Boise State University to begin my journey to earn a Master of Science Degree in Education. At that time I was 30 years old, working two full-time jobs and one part-time job, and I had no intention of quitting any of my jobs. 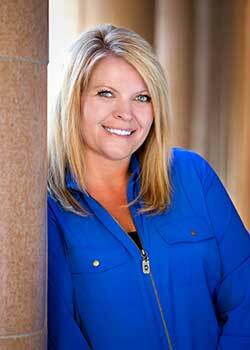 I loved my careers as an executive assistant and college educator, and quitting was not an option. Nor was it an option to continue to allow the benefit that my employer provided in tuition reimbursement go unused. In my mind, I still had decades to work, much to learn, and opportunities to seize. I began my new educational journey and registered for online classes. For seven years I worked diligently through my master’s degree program taking one class each semester including summers. I spent the last four of the seven years of the program working on my master’s thesis. As I paid the tuition for each class, my employer would reimburse my tuition at the end of the semester with proof of completion after receiving an A or B grade. Working on my master’s thesis was challenging and hard work! I will always be grateful to Ted Gaebler, the City Manager who I supported at the time, for encouraging and pushing me to stay focused in the last year of my program. The rate at which I completed the degree did not matter to me. It was not a race! What was important to me was that I start and finish! In August 2010, I graduated from Boise State University with a 4.0 GPA never expecting anything less of myself while staying committed to my employers. Attending college can be a HUGE commitment of time, sacrifice, and financial resources. At times it took a great deal of “grit” to do what was required. Don’t miss out on the opportunity to earn a college certificate or degree and take advantage of your employer’s tuition reimbursement program to advance your career and maximize your earning potential. 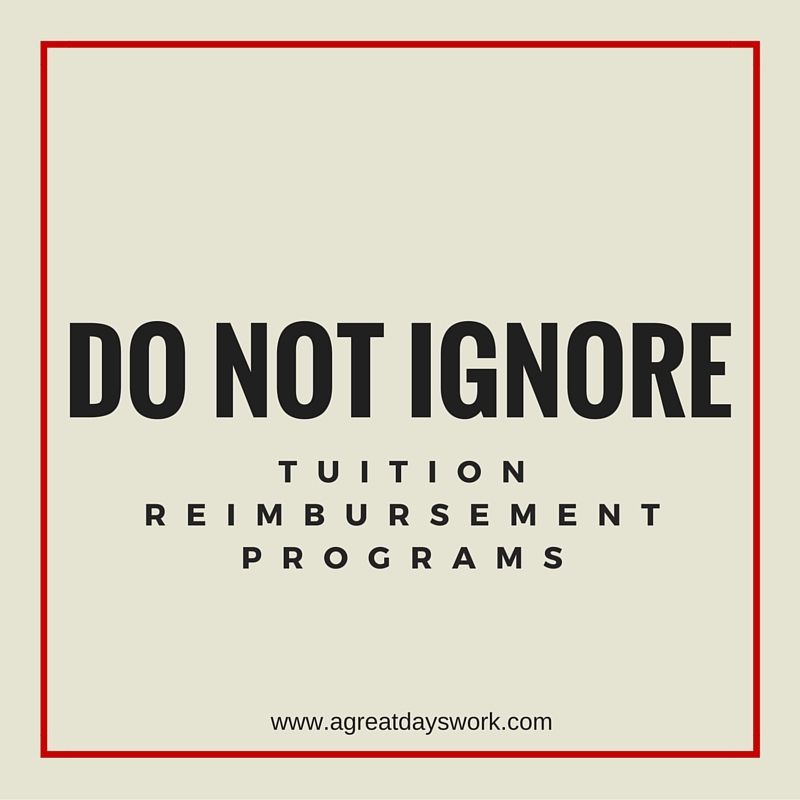 If your employer does not have an existing tuition reimbursement program, why not collaborate with a team of individuals at work and propose the idea while emphasizing the benefits to both the employer and the employee. I did the same thing. I worked a 40 hour week on my job and attended Ivy Tech working on a degree in Business Administration with a concentration in management. I supported the owner of our company. I am most grateful for this degree. There were many times I wanted to quit, but wouldn’t allow myself to do that. There were many times I thought I would lose my mind. The challenges were great and at times they seemed unattainable. I graduated in 2013 with a AS degree. I am thankful everyday for that training and for staying the course.